James Kindon and Simon Gadsby explore how to make the latest Citrix offerings real within your organisation. You probably don’t even realise the value that is on offer. If you haven’t been staying abreast of the exciting movements in the Citrix space over the last 12 months, don’t worry, we have and it is an exciting time to be a part of the Citrix ecosystem. The upside is that you may be entitled to new offerings at no cost, which can significantly improve the way you and your users experience your Citrix environment. There are many environments operating with a basic configuration to provide a ‘good’ environment for end users and a relatively simple environment for admins to manage. This may be ‘good’, however what we like to aim for is an AWESOME experience for end users, with a powerful yet simple environment for admins to manage. We should be able to scale out and scale up, across multiple platforms and cloud offerings, all with simplicity and ease. Resource Optimisation which prioritizes processes within the users’ sessions to keep the users’ sessions responsive, even when available resources (CPU, RAM) are constrained. Resource Optimization has proven to increase user density by up to 80%, improving user experience while increasing per-server ROI. User Experience Management (UEM) which consists of user profile and user environment settings that would typically be configured in Group Policies and login scripts. Moving these settings to WEM, allows the smart engine to process these settings and deliver a responsive workspace as quickly as physically possible, significantly reducing login times. If you are experiencing performance problems or slow logons, WEM can help you alleviate some of these problems, while taking your user experience to new heights. In January 2017, Citrix announced its acquisition of Unidesk, a pioneer of layering technology that dramatically simplifies application and OS management for organizations of all sizes. The Unidesk solution is now known as Citrix App Layering, and is available for anyone to try and for eligible customers to deploy. App Layering has emerged as the best way to abstract applications from the underlying operating system so that they can be managed independently and delivered from any end user computing solution to any device. Citrix App Layering offers full-stack layering technology, enhancing compatibility by layering the entire Windows workspace as modular virtual disks. These layers include the Windows operating system itself (OS layer), apps (app layers), and a writable persistent layer that captures all user settings, apps, and data. Citrix App Layering is a benefit of active Citrix Customer Success Services Select (formally known as Software Maintenance) and available with all editions of XenApp, XenDesktop and Citrix Workspace Suite. It is also included as part of these Citrix Cloud packages: XenApp Service, XenDesktop Service and Workspace Service. 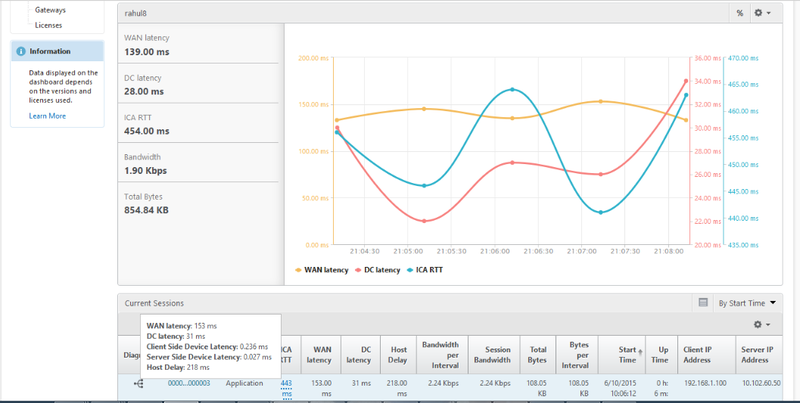 If you are utilising NetScaler Gateway as the front end for your Citrix solution, then you will truly appreciate what HDX Insight can do for you. 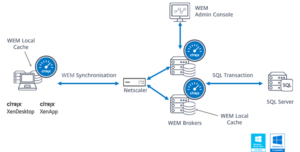 HDX Insight provides end-to end visibility for ICA traffic passing through a NetScaler appliance. It enables administrators to view real-time client and network latency metrics, historical reports, end-to-end performance data, and to quickly troubleshoot performance issues. If you are a platinum customer (NetScaler and XenApp/XenDesktop) then you are fully entitled to NetScaler MAS with Citrix HDX Insight integrated into your Citrix Director help desk tool. This provides a single pane of glass reporting HDX data from all of your machines and users, as well as networking data and metrics captured via Insight. The list above is only the tip of the iceberg. There is so much potential at your fingertips, ready to be realised. Drop us a line if you are interested in finding out how to leverage more from your Citrix investment and improve the experience for your user base.